A sneak peek into my behind-the-scenes. Today I want to hop into your inbox to give you a sneak peek into some things my agency is working on, plus some new changes I’m implementing with client strategy. #1: I’ve talked about the recent algorithm changes inside Facebook and what I think this will mean for advertising. So my theme for 2018 is to branch out to other platforms. 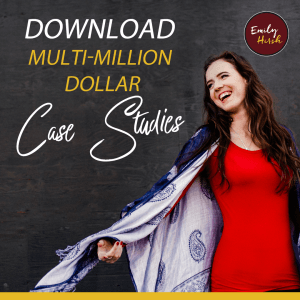 As a business owner, I can see that putting all your eggs into the Facebook ads marketing basket could lead to trouble, especially if you’re counting on a ton of revenue coming from that traffic. My Team is currently exploring YouTube and Google ads, first internally and soon for clients. Because here’s the important part: You can never just say, “Oh, I made it! I’m doing everything I need to do to grow my business.” You can’t stop there. We’re always looking at the trends. And one thing I’ve noticed is that ad costs have gone up in the last few years, because there’s more people advertising on Facebook. But you should always be looking ahead and thinking, “What should I be doing in my business right now, to keep up with the trends?” And bottom line: You should really outsource this task to someone whose main job is to pay attention to that. #2: I’m also beginning to implement some new changes with client strategy. The way my agency runs ads revolves around the goals of re-targeting and engagement. We think about how we can create an experience for your viewer, without the feel of sleezy or scammy marketing. We want to help our clients advertise authentically. And that’s the beauty of Facebook: You can put ads that don’t look like ads directly in front of your audience. With webinar costs going up, especially in the entrepreneur space, we’re beginning to work on a new strategy, partly inspired by an ads strategy I learned in Inner Circle. We’ve been working on this for awhile. But now we’re working on more front-end ways for people to engage with your brand before you send them to a webinar. 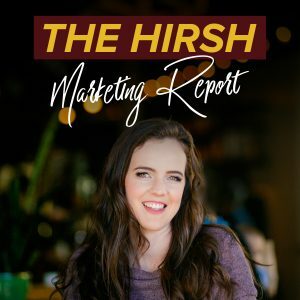 If you’re not already considering this, I encourage you to think about: How many touchpoints does somebody have with your brand before (1) you ask for their email, (2) you ask them to jump on a webinar, or (3) you ask for a sale? The trust that people have in service-based businesses is really diminished right now. It’s really hard to grow a successful coaching business, unless you already have clients or a following. We’re helping our clients create front-end engagement, combining regular social media posts (that get very little traction, because organic reach is so low right now) with engagement ads that we can re-target, to get people inside webinars, etc. By the time people are seeing your ads, they already know you really well. And here’s the bottom line: You want to provide VALUE to people before you ask them to opt-in and buy your product or course. A lot of us have forgotten the importance of sharing value with our audience. We focus on creating new and different funnels with tripwires and special offers. But the sales part of your business should actually be pretty basic. You need more touchpoints, more free, valuable content: videos, social media posts, and basic lead magnets. Are you putting energy into the front-end of your branding? Are you paying attention to your visibility? Are you connecting and resonating with people? OR are you too focused on the back-end sale and dropping the content? P.S. Want done-for-you Facebook ads and funnels from an industry leading agency? Book your call with our team here.